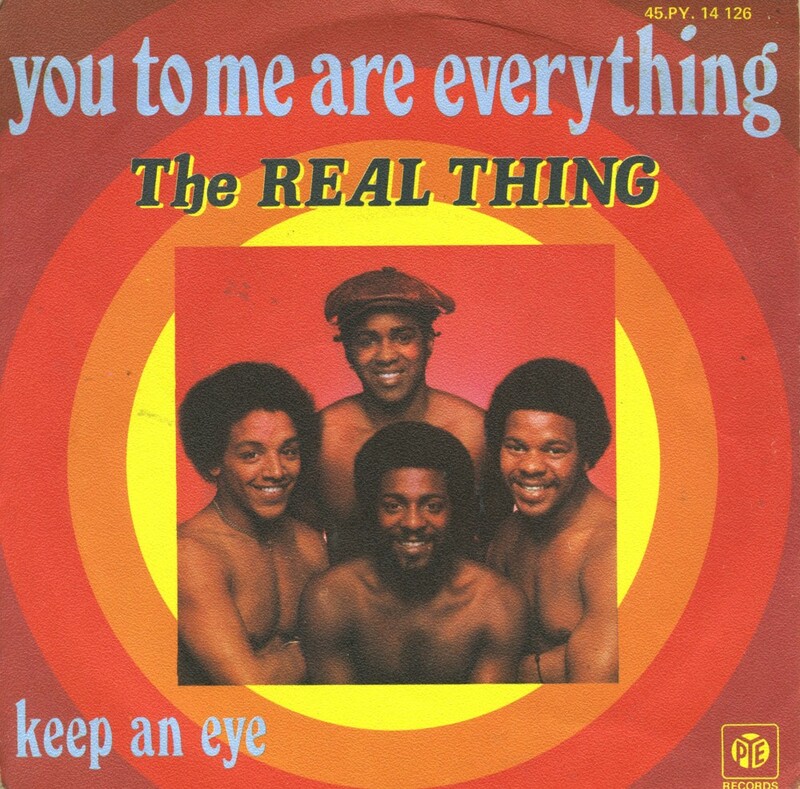 'You to me are everything' was released in 1976 as the debut single by The Real Thing. 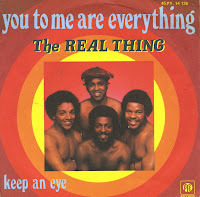 Written by Ken Gold and Michael Denne and produced by Ken Gold, it became the band's only number 1 single in the UK, spending three weeks at the top in July 1976. The song was a minor hit in the USA, where it peaked at number 64 on the Billboard Hot 100 singles chart. Part of the reason for its lack of success was the flood of cover versions of the song released at the same time. American groups Broadway and Revelation both released versions of the song the same week, and at one point all three versions of the song appeared on Billboard Hot 100 chart. The three singles effectively prevented each other from becoming a hit.